The Climate Change Committee (CCC) welcomed the Clean Growth Strategy, which was published by the UK government on October 2017. However, they warned there is still quite a bit of work that needs to be done to turn the aspirations into deliverable actions. 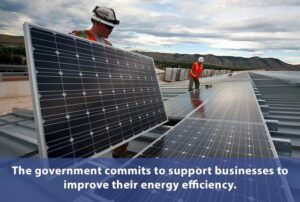 The CCC advises the solar industry to also welcome the strategy by giving their commitment to helping develop the policies required to deliver a low carbon future. A successful programme to deliver two to three new nuclear plants in addition to Hinkley C, on-time and at ever-decreasing costs. Importing large amounts of low carbon electricity from interconnecting with continental countries (presumably French nuclear). 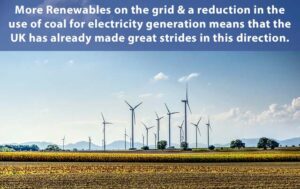 The CCC proposed to include cost-competitive technologies in the auctions, technologies such as onshore wind and solar PV, which could be expanded at no extra cost to the UK. 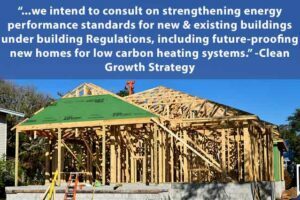 In order for this to be done, the CCC proposes the government to produce new standards that deliver high levels of fabric efficiency and future-proof properties for low-carbon heat. To ensure the regulations will not break away from solar, The Solar Trade Association (STA) will remain attentive. 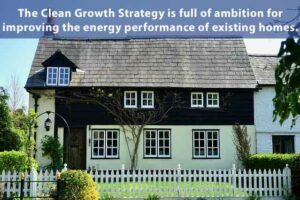 The Clean Growth Strategy states that the government wants to upgrade as many homes as possible to meet Energy Performance Certificate (EPC) Band C by 2035 which they claim will be practical, cost-effective and affordable. 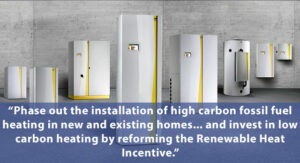 The CCC mentions that the government’s stated ambition to revamp the energy efficiency of homes has no existing or proposed policy attached to it and believe solar can surely play a huge role in getting properties to EPC C.
In the Clean Growth Strategy, the Government commits to developing a package of measures to support businesses to improve their energy efficiency by at least 20%. They want to improve the energy efficiency of new and existing commercial buildings, raising minimum standards of energy efficiency for rented commercial buildings. The Government also wants to simplify requirements for businesses to measure and report their energy use, establish an Industrial Energy Efficiency Scheme. The CCC welcomes the targets, but it lacks detail on how the proposed package of measures would deliver the goal. Unfortunately, the solar industry has been disappointed by the government’s business rates treatment of solar on commercial buildings. Despite a sustained and energetic lobbying effort from STA, the Clean Growth Strategy did not coincide with a reassessment of taxes that discourage investment in energy efficiency. The CCC supports this but also advises that this should include heat pump deployment, which, together with installation in new-build properties, would develop heat pump markets and supply chains in order to prepare, if necessary, for potential widespread deployment in buildings connected to the gas grid from the 2030s.